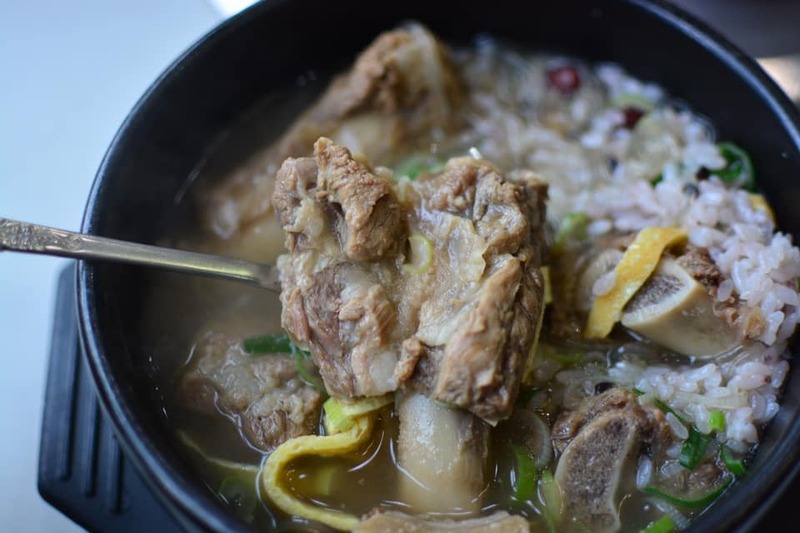 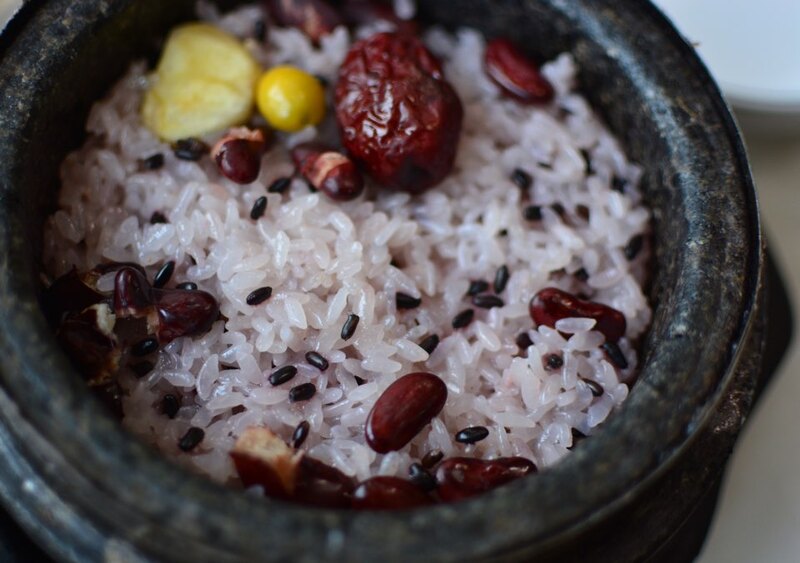 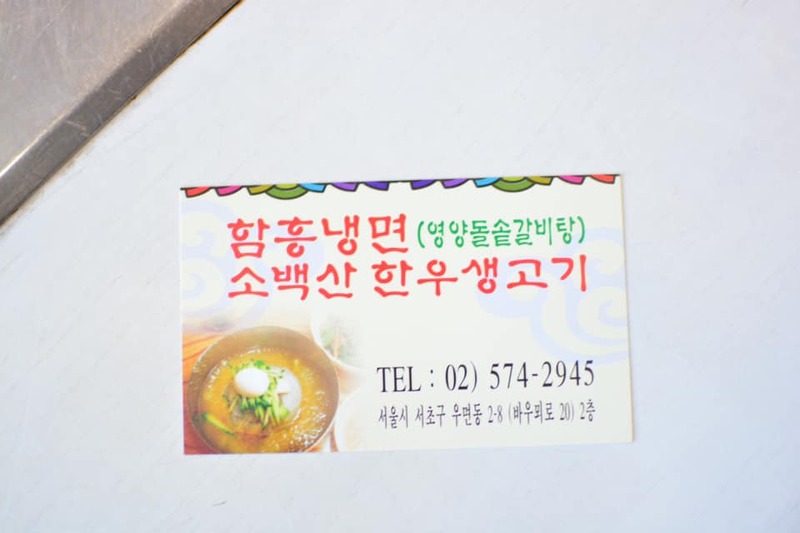 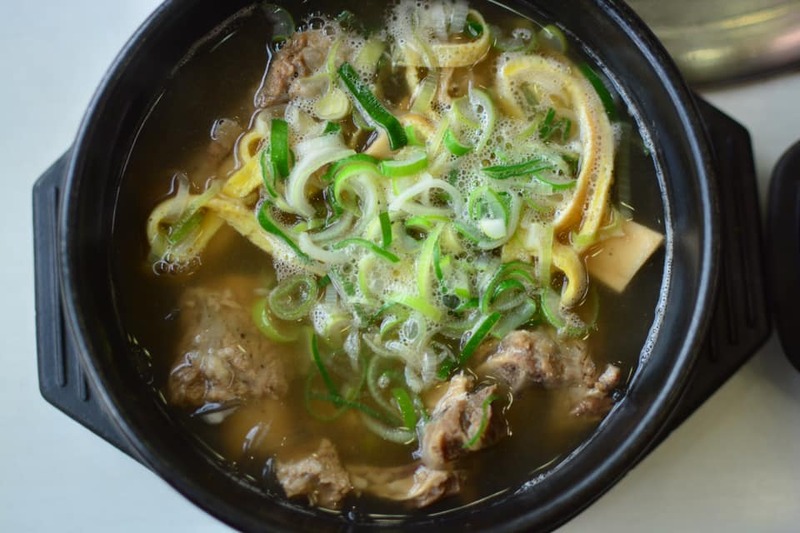 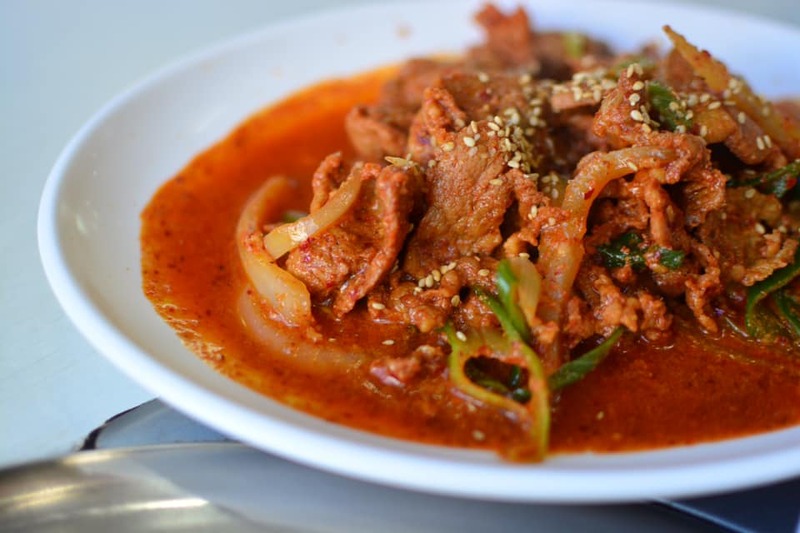 Hamheung Naengmyeon Sobaeksan Hanwoo Saeng Gogi 함흥냉면 소백산한우생고기. 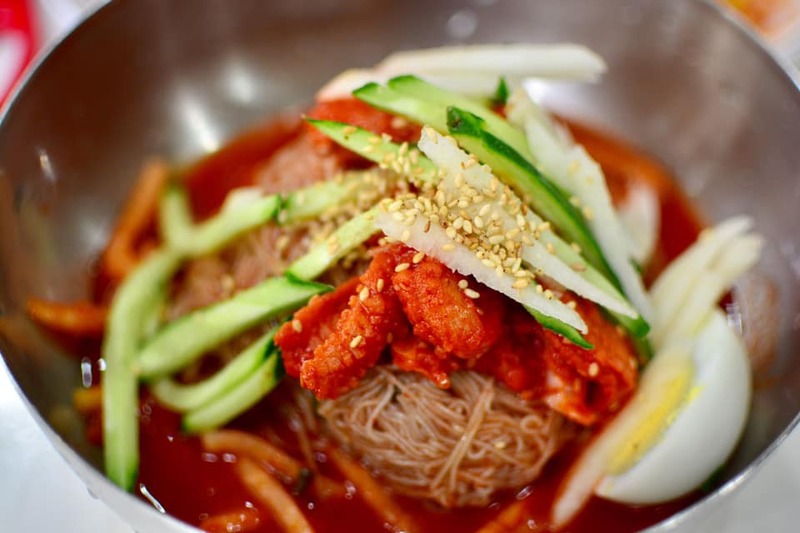 literally translated as Hamheung Buckwheat Noodles Mt. 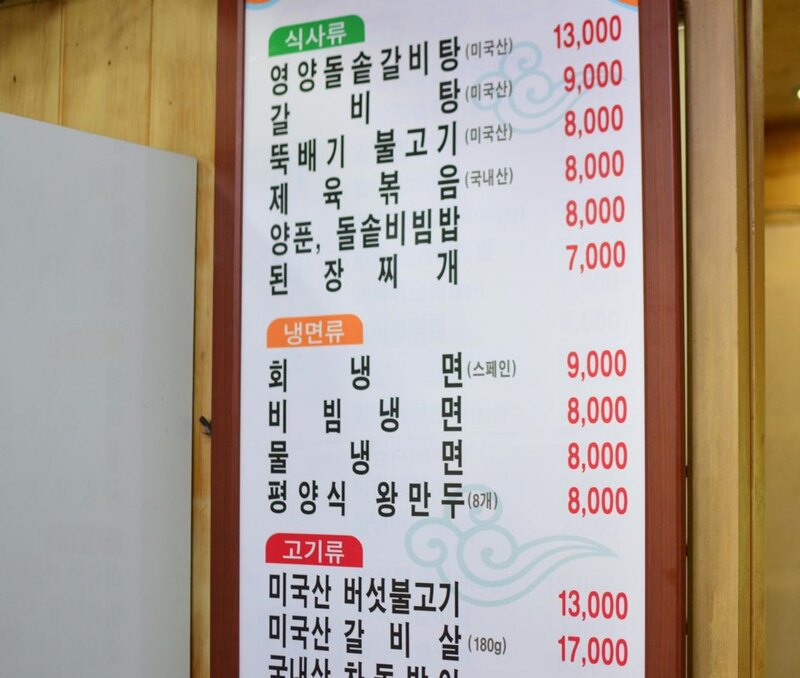 Sobaek Hanwoo Fresh Beef, has by far the longest name of any restaurant that I have visited during my time in Seoul. 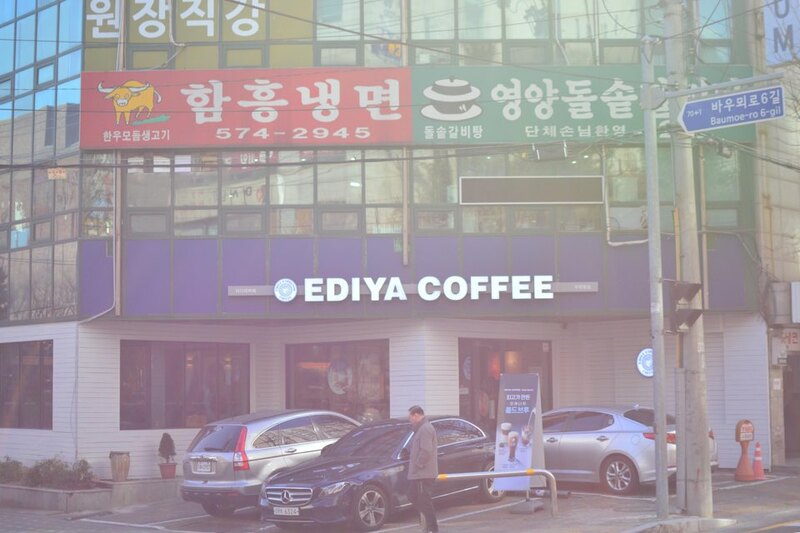 But what makes this place so special is not the long name, it’s the array of delicious food and convenient location–a stone’s throw away from my workplace (LG R&D Center) in Yangjae 양재 (specifically Woomun-dong 우면동). 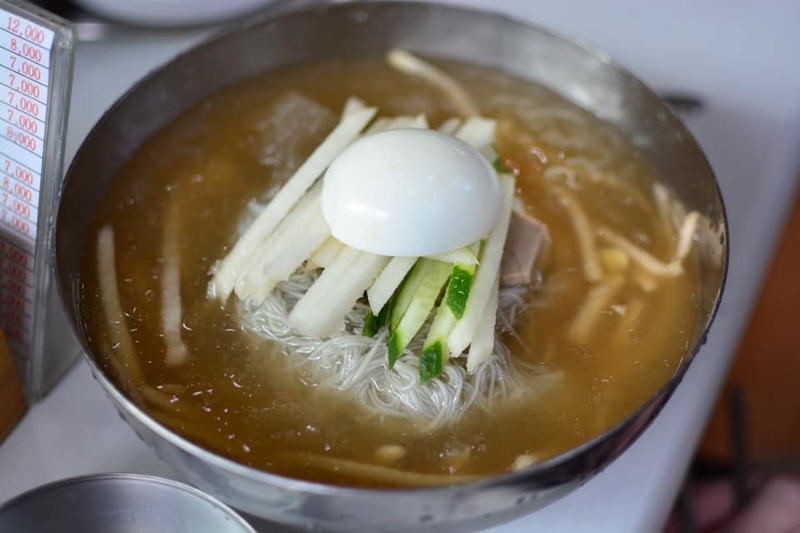 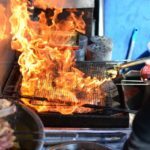 By name alone, the restaurant should specialize in naengmyeon (which is excellent), but in fact, there’s nothing on the menu that disappoints. 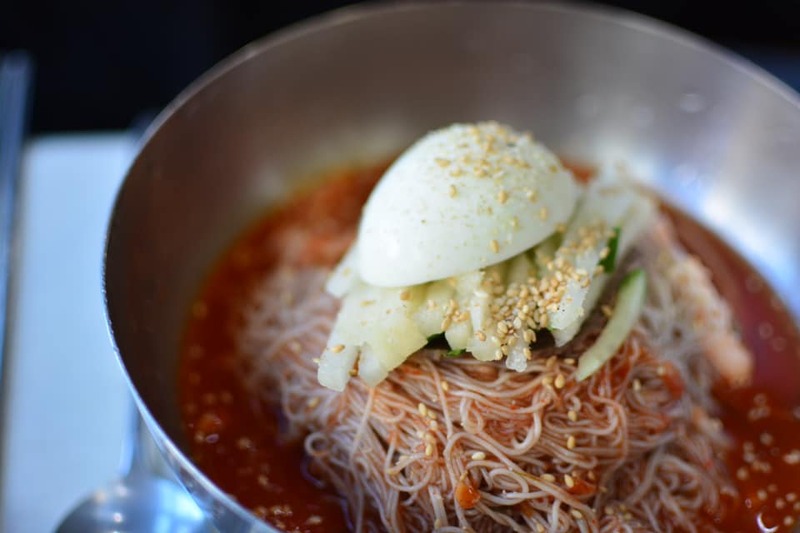 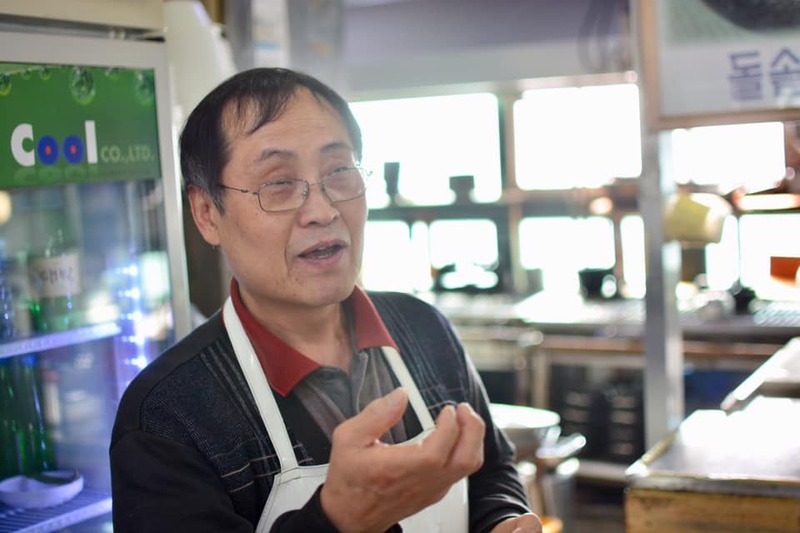 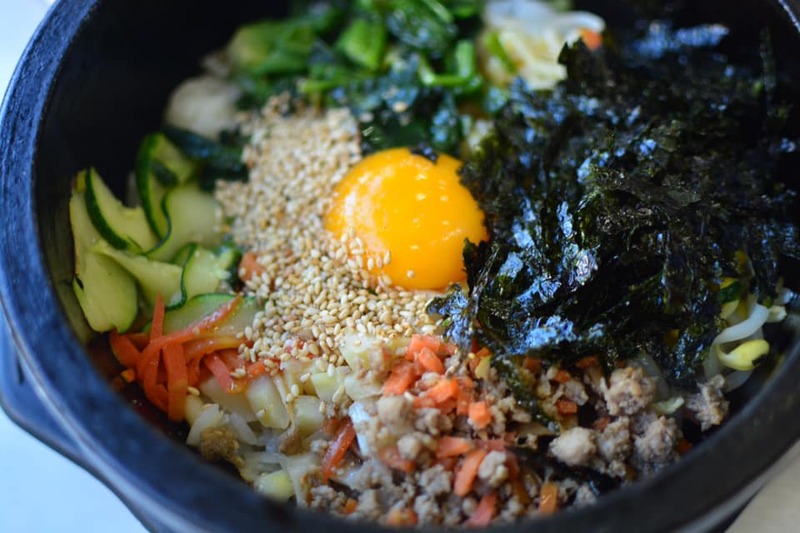 From their rustic bibimbap 비빔밥 to their super refreshing naengmyeon 냉면 varieties, the cook of 20+ years has perfected seemingly normal dishes that people might take for granted. 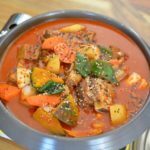 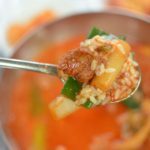 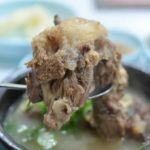 Having been impressed with their galbitang 갈비탕 (beef soup) and dolsot bap 돌솥밥 (rice in stone pot) set meal, I practically went down the entire menu and marveled how great each dish was. 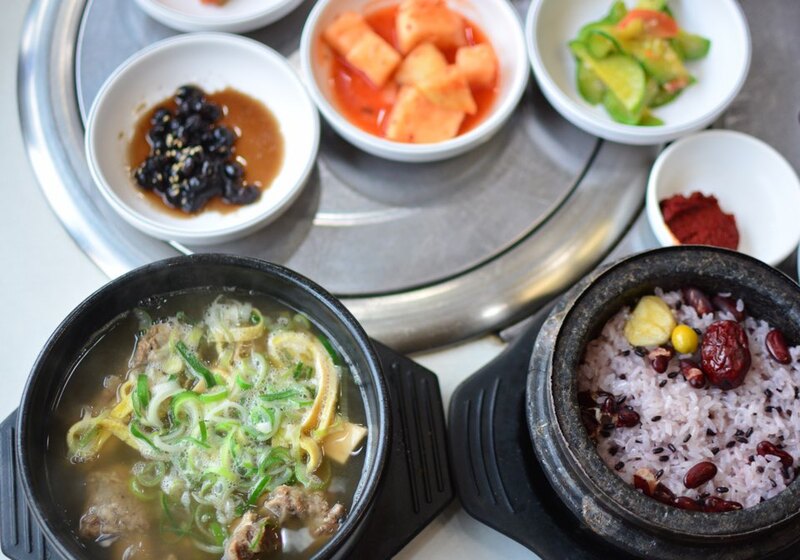 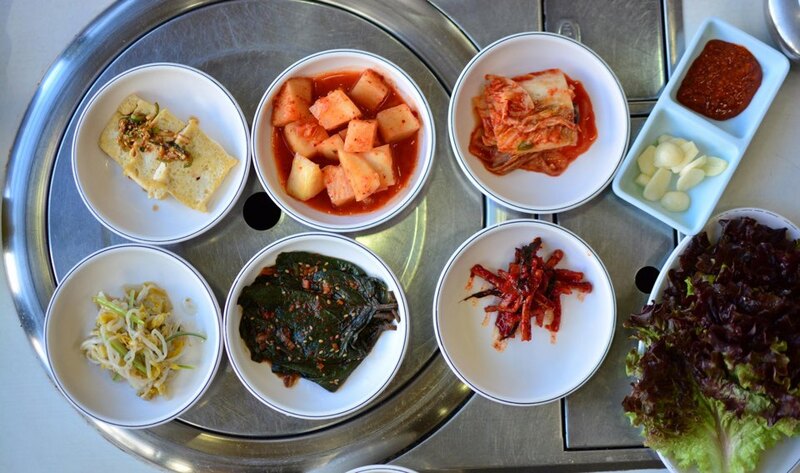 Flavorful, yet clean and hearty, plus some of the best banchan made in-house every day. 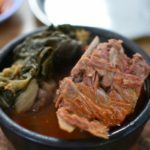 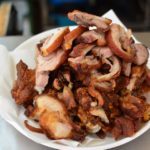 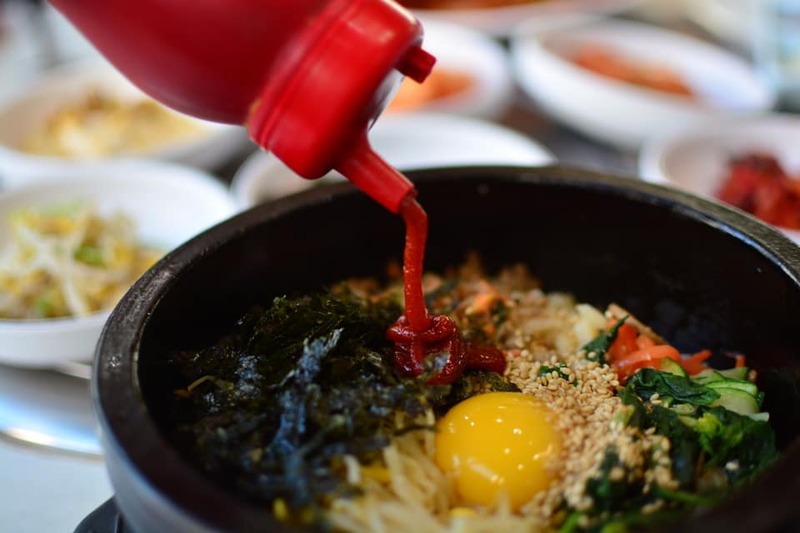 For some basic Korean staples such as bibimbap, galbitang, and naengmyeon, I highly recommend this local matjip serving up some fantastic, home-style dishes south of the river.